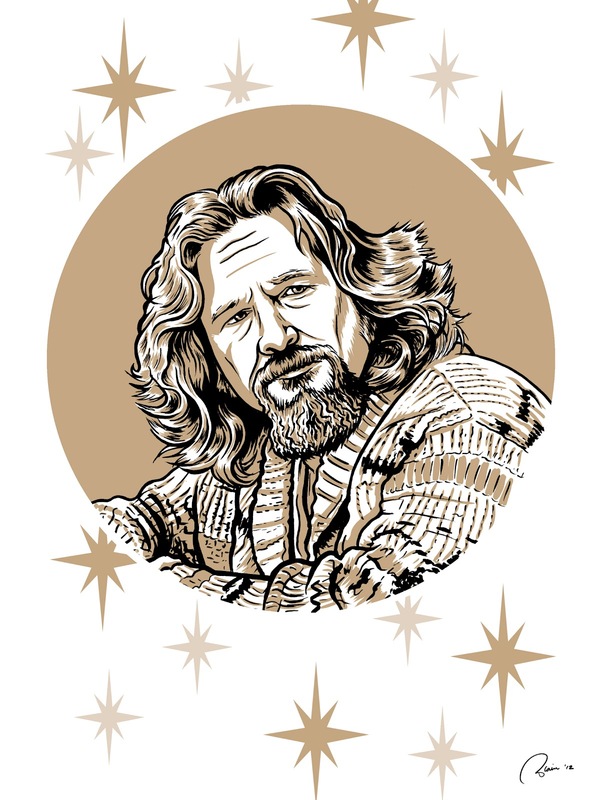 This month, starting today in fact, my solo show titled "Monsters, Movies & The Dude" will be up at the IJ & Jeanne Wagner Jewish Community Center in Salt Lake City, UT. The show will run from October 1 through the 30 and will be located at the gallery on the second floor lobby of the community center. The center is located at 2 North Medical Drive, Salt Lake City. 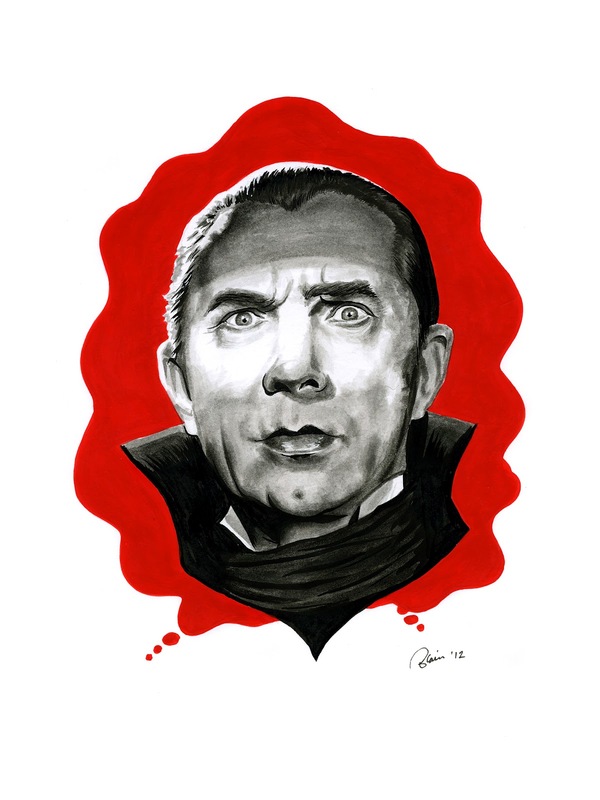 Lugosi: Dracula — 9" x 12" Gouache, ink and ink wash on Bristol Board. An opening reception will be held on Wednesday, Oct. 3 from 7p.m. to 9 p.m. and is free and open to the public. Refreshments (BEER!) and treats will be served as well. The show focuses on my love of popular culture in film and television. To celebrate October, there will be a large selection of new portrait studies of classic Universal and Hammer Horror characters and "Young Frankenstein." There are also several other horror movie inspired pieces, including drawings, paintings and retro movie posters of some of my favorite horror films. There are also a select number of other works as well featuring the Indiana Jones films. "The Big Lebowski," "The Avengers," "Star Wars," "Star Trek," "Doctor Who" and "Harry Potter." The original painting I did for Bryan Young's "Operation: Montauk" book cover will also be on display. Everything but the "Operation: Montauk" piece will be for sale in the gallery and a portion of the proceeds for each sale goes to the JCC. So if you happen to live in the Salt Lake area, I would love it if you could stop by the JCC for the reception or anytime this month to see my work up close and personal. One of my favorite films of the year, "The Cabin in the Woods" came out today on video. So I thought what better day to reveal the retro throw-back poster I painted honoring it for my upcoming solo show. It was painted in acrylic on 20" x 30" illustration board and the text was added digitally. The original painting and a 24" x 36" digital print of the finished movie poster that you see at top will both be for sale at my show. Be sure and click on the pic if you want to see it a bit bigger! 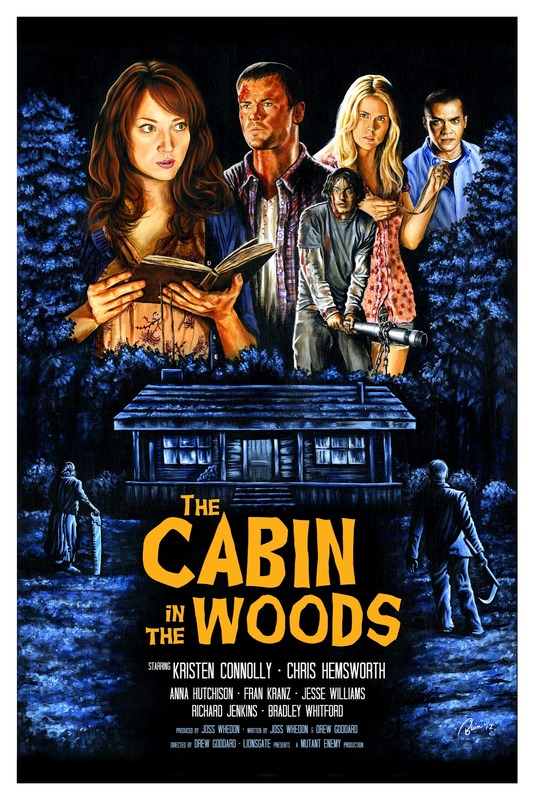 When I was showing progress pics of it on Twitter it even got approval from actors Fran Kranz and Anna Hutchison! 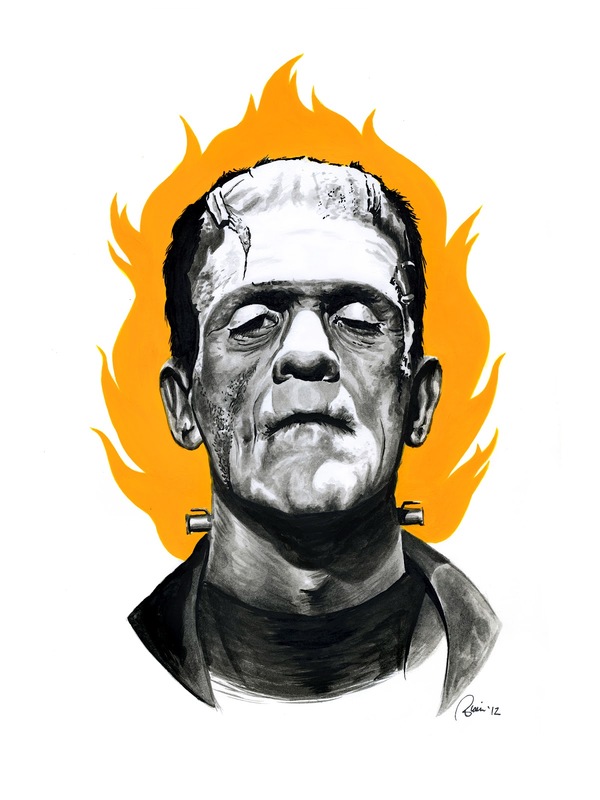 The show will feature a lot of new pieces honoring classic and some modern movie monsters and horror so more will be revealed in the next couple of weeks. Opening reception for the show will be at the IJ & Jeanne Wagner Jewish Community Center in Salt Lake City on October 3rd from 7 to 9p.m. The show will run from Oct. 1 - 30. The show and reception are free and open to the public.